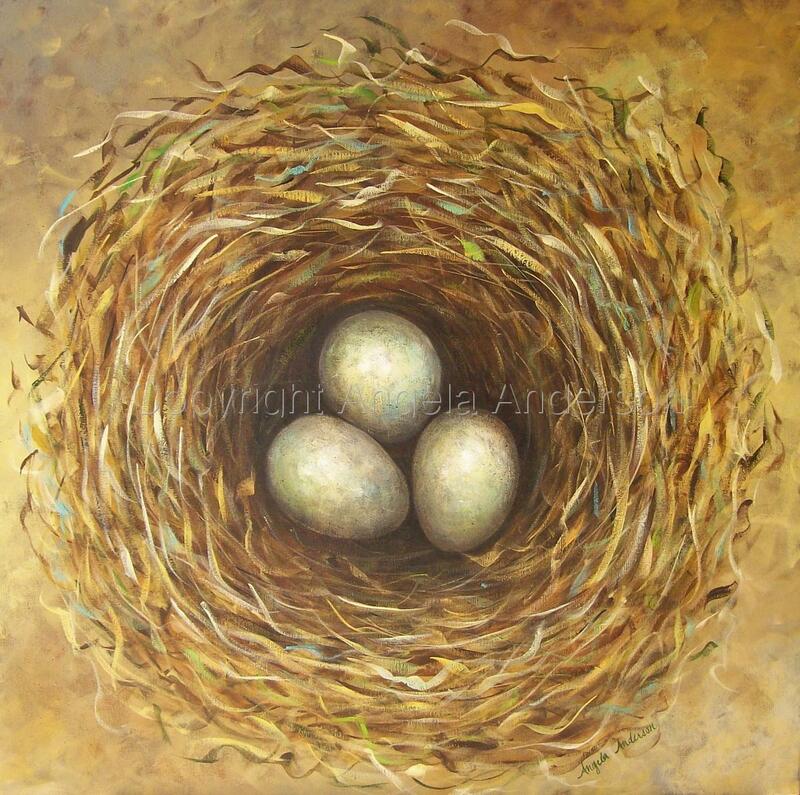 Cream colored eggs nearly pop off the canvas. Nest swirls with browns, greens and blues. Gallery-wrapped canvas painted on sides, wired & ready to hang.